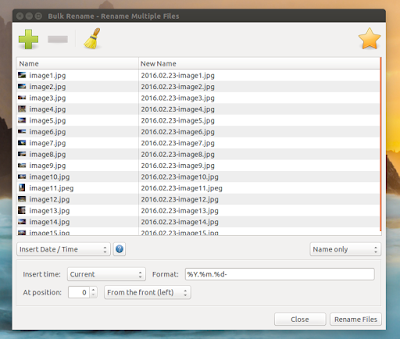 Renaming multiple files manually can be a pain and not everyone is comfortable performing such operations from the command line. 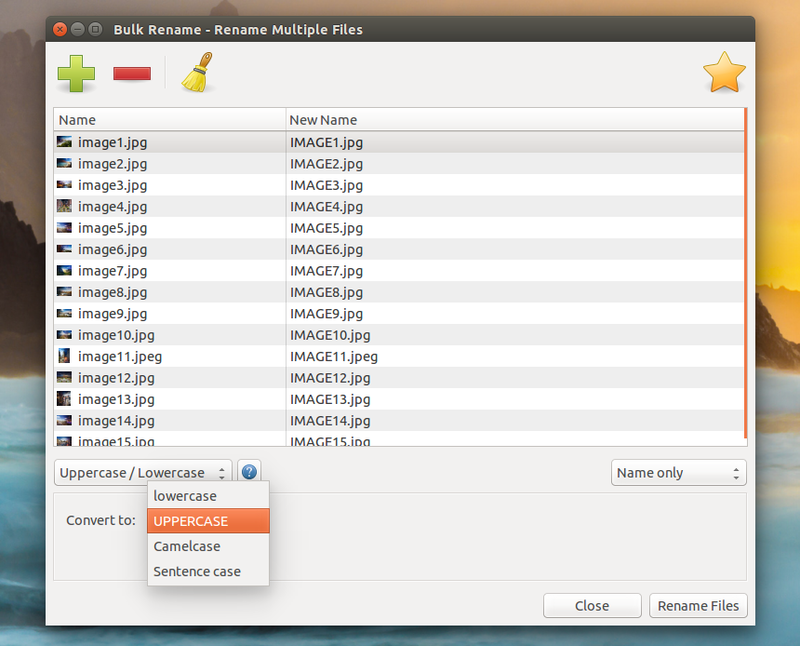 Below you'll find 3 Linux GUI utilities that should be able to cover most of your bulk renaming needs. 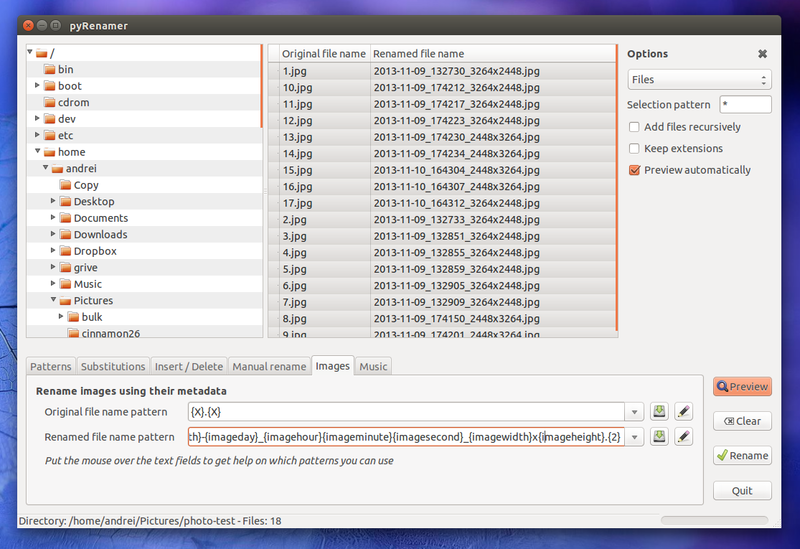 Thunar, the default Xfce file manager, comes with a built-in tool that allows bulk file renaming. 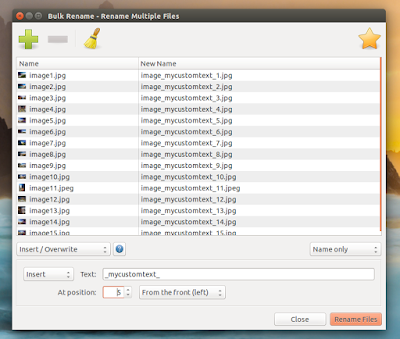 This is among the easiest to use GUI tools for bulk renaming files under Linux and it also offers enough options for most use cases, including live preview so you can see what the new filename will look like before making any changes. 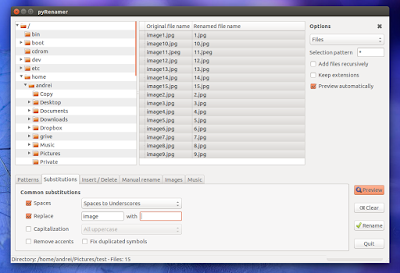 uppercase / lowercase: allows converting the complete filename to UPPERCASE, lowercase, Sentence case (only the first letter of each filename is capitalized) and Camelcase (the first letter of every word is capitalized, and all others are lowercase). 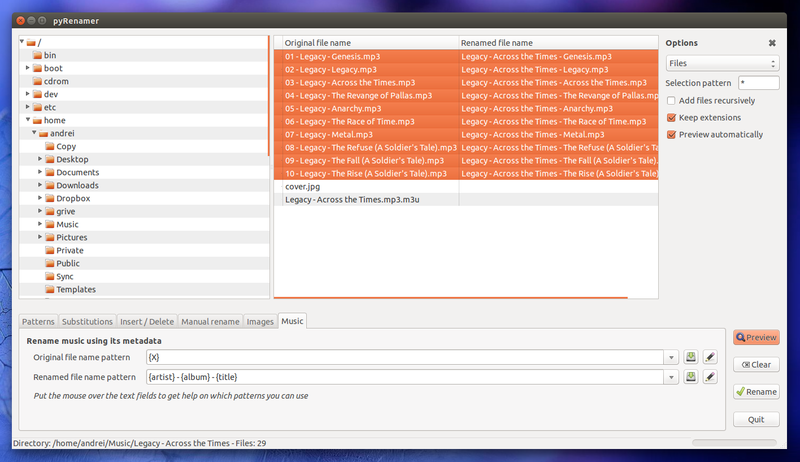 Thunar Bulk Rename can also rename audio files based on their tags (ID3 or ogg/vorbis) however, this is not built-in and you must install a Thunar plugin, called Thunar Media Tags, to use it (we'll cover this in the installation section below). 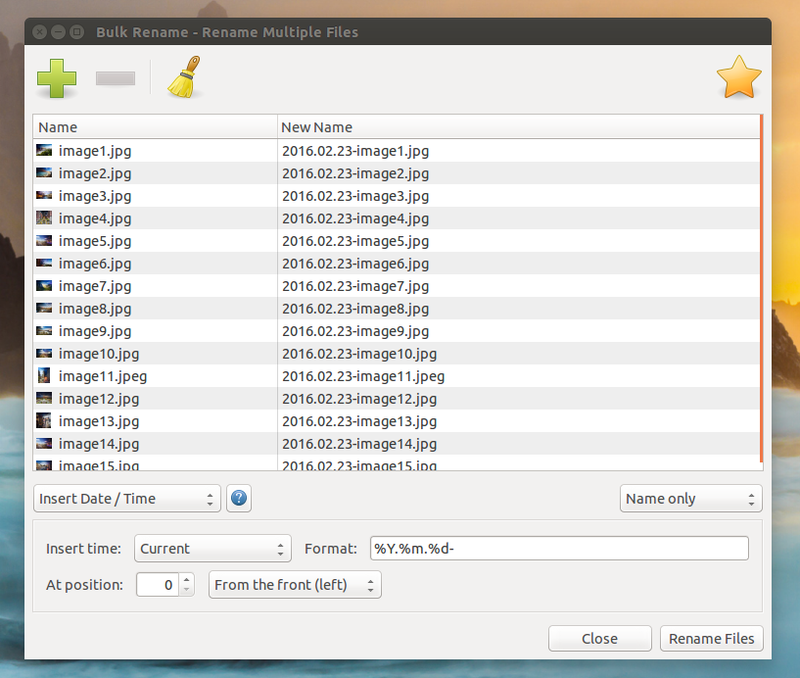 With this plugin, Thunar Bulk Renamer allows choosing from various predefined formats, such as Artist - Title, Artist - Track - Title and so on, and it also allows for a custom format, where you can use "%a" for Artist, "%t" for title and so on. 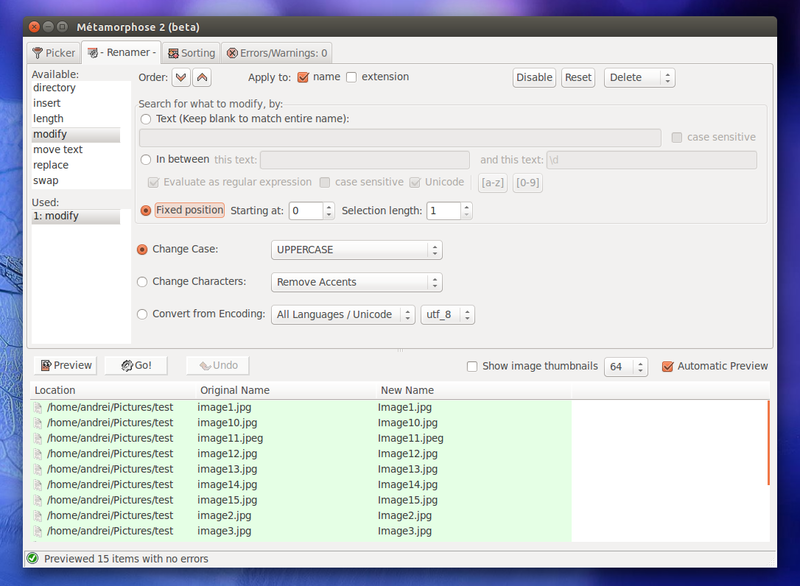 All these can be found by clicking the "i" icon next to "Custom format". If you're using a Xfce Linux distribution, Thunar should already be installed on your system so to run the bulk rename utility, right click the files you want to rename in Thunar and select "Rename" - this should launch Thunar Bulk Rename. 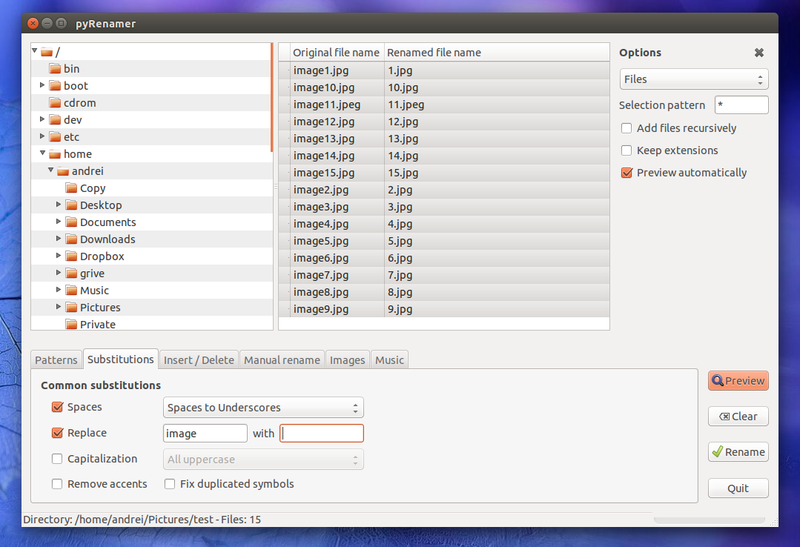 For some reason, Thunar Bulk Rename utility doesn't show up directly in the Xfce menu, but it does in other desktop environments (and there's nothing in the app desktop file to prevent it from being displayed in the menu). 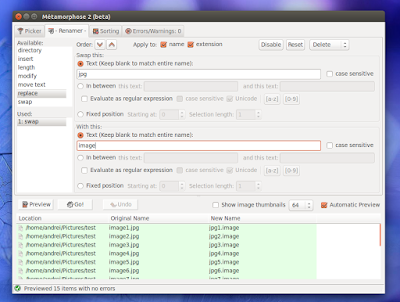 While it's a Xfce app, you can install Thunar on any desktop environment. 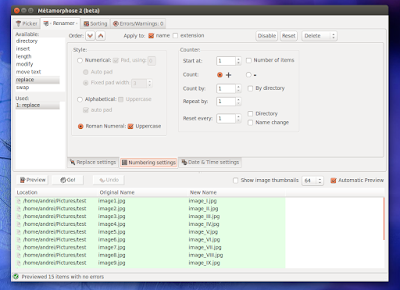 If you use Debian or Debian-based Linux distributions like Ubuntu, installing Thunar will also bring some Xfce dependencies however, you can avoid installing some of them (though some Xfce libraries will still be installed because Thunar depends on them), like xfce4-panel, thunar-volman and more, by appending "--no-install-recommends" to the install command. 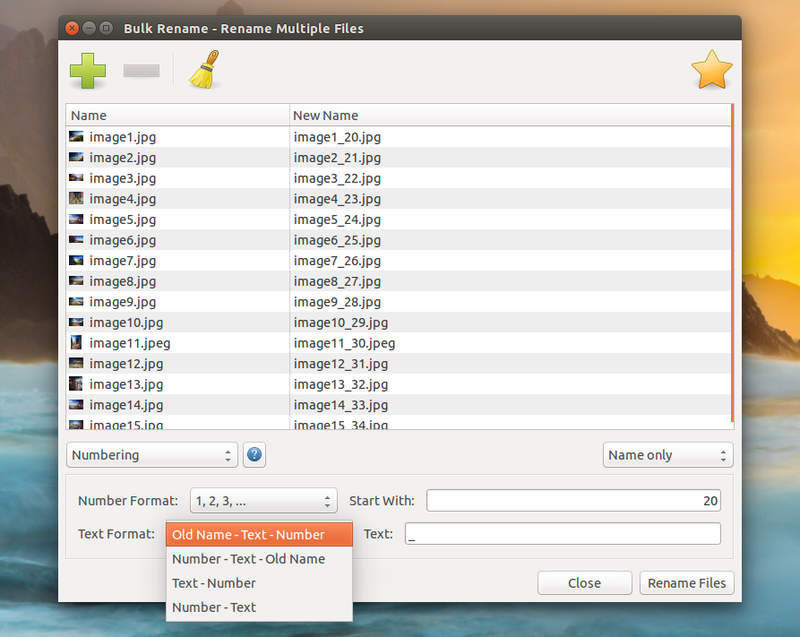 Now launch "Bulk Rename" from the menu or open Thunar, select the files you want to rename, right click them and select "Rename" - this should open the Bulk Rename dialog. 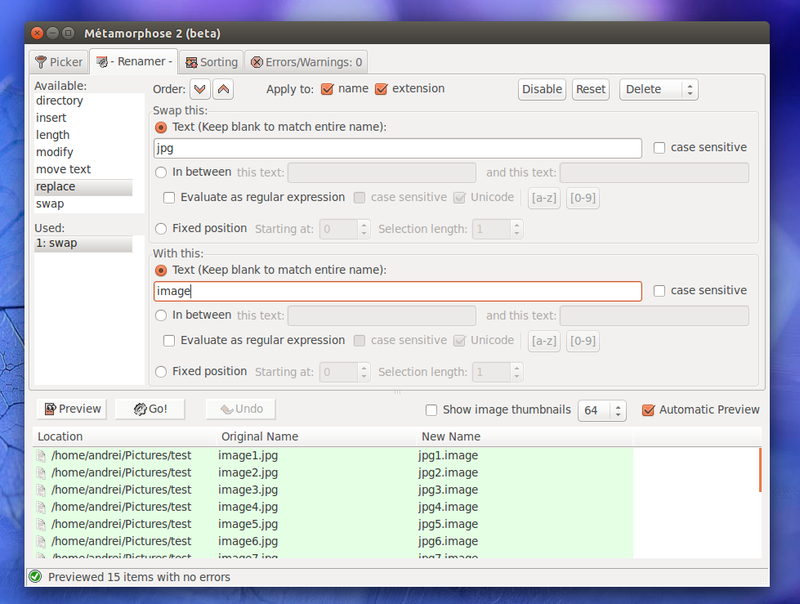 You can even integrate Thunar Bulk Renamer with Nemo. 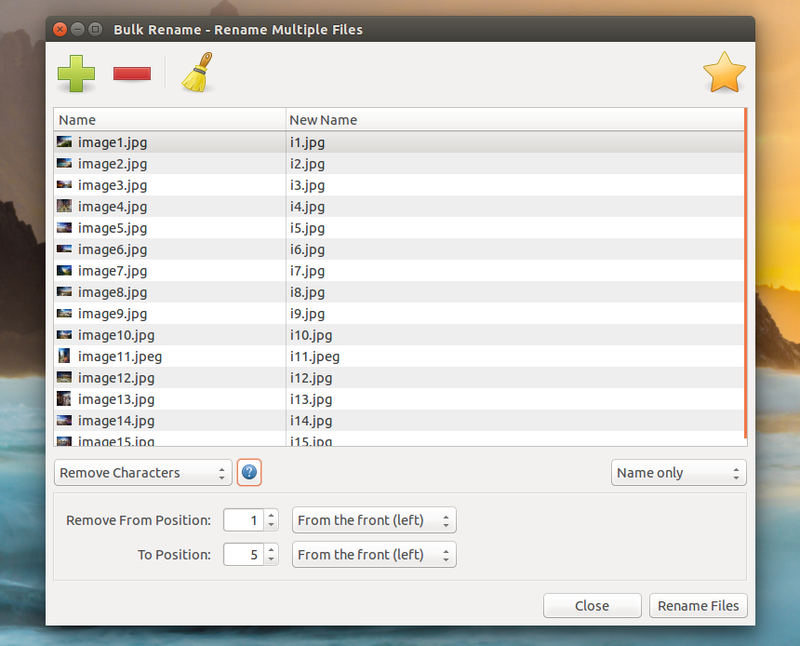 To do this, open the Nemo Preferences and on the Behavior tab, scroll down to the last option which is "Bulk Rename", and add the following (without the quotes) as the command to invoke when renaming multiple items: "thunar --bulk-rename %F". 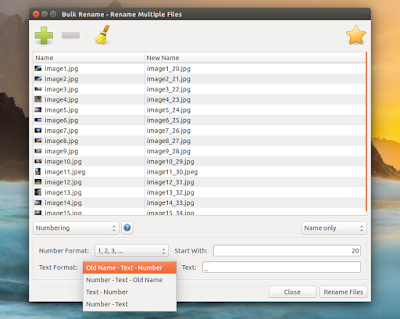 Now you can select multiple files in Nemo, right click and select "Rename", which will launch Thunar Bulk Renamer, allowing you to perform renaming actions on the selected files. 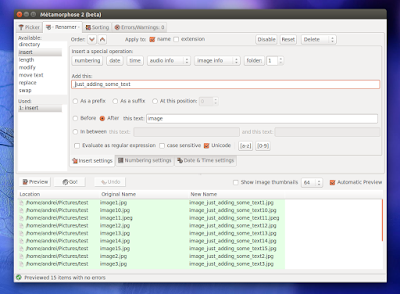 Speaking of Thunar, if you want a dual-pane feature in Thunar, see this our Split View Patched Thunar PPA. 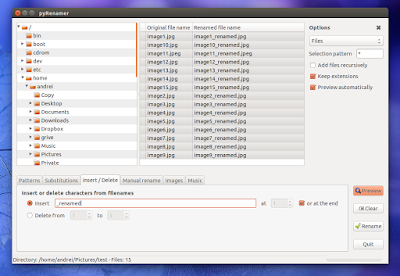 pyRenamer is another mass file renamer that should be able to handle most needs. 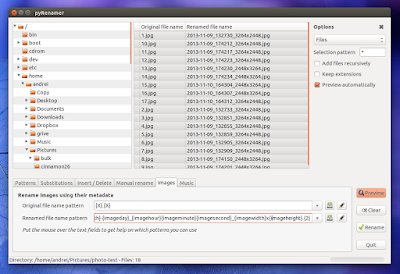 images and music: using these options, you can rename images and audio files based on their metadata. Like Thunar Bulk Rename, the application allows previewing the new filenames before applying the changes, a very useful feature that can save you from messing up the filenames. 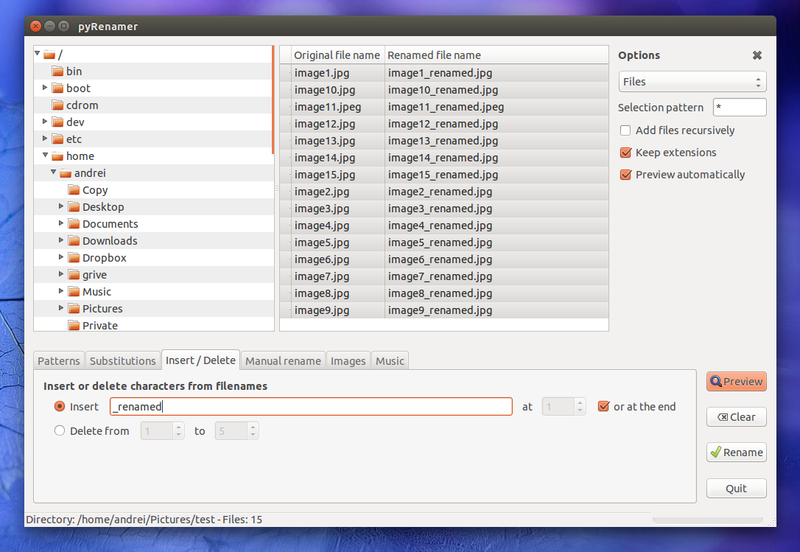 There's a nice feature that's not available in Thunar Bulk Rename though: with pyRenamer, you can load the new names from a file, which can come in very handy in some situations. 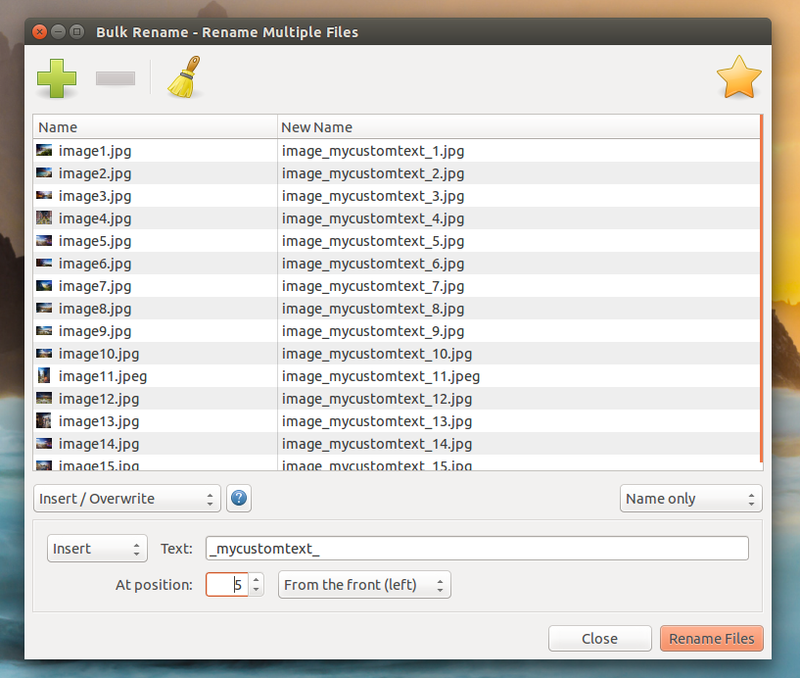 Compared to the Thunar Bulk Rename utility, pyRanamer also allows mass folder renaming and renaming images based on their metadata. 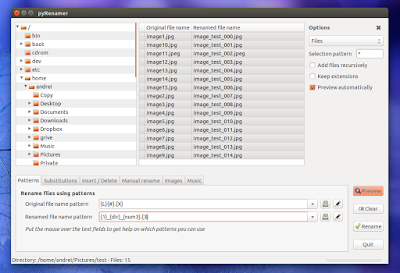 Another advantage is that it doesn't depend desktop environment-specific packages like Thunar. Also, its pattern-based rename system is powerful but it may seem hard to use at first. That's why, for a quick mass rename that doesn't involve anything too complicated, my recommendation would be Thunar Bulk Rename. 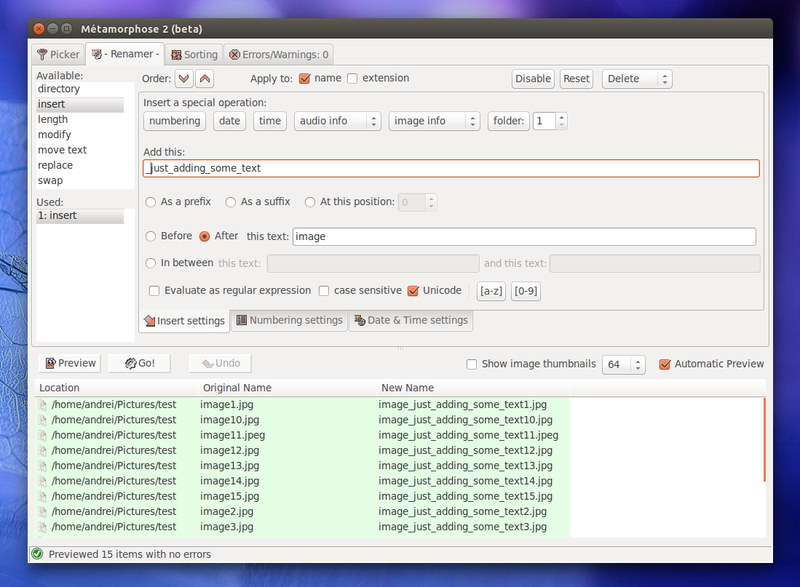 I should also mention that the application seems abandoned, with the latest version released in - wait for it - 2008! That said, the application works pretty well, but if you encounter bugs, don't expect a newer version to fix them because that won't happen. Alternatively, you can grab the source from Launchpad. 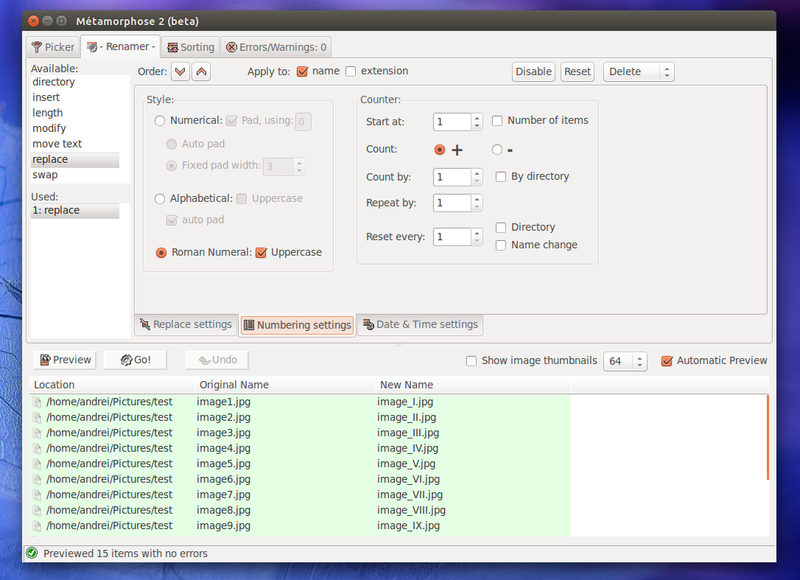 Metamorphose is an advanced GUI batch file and folder renamer, available for Windows and Linux. 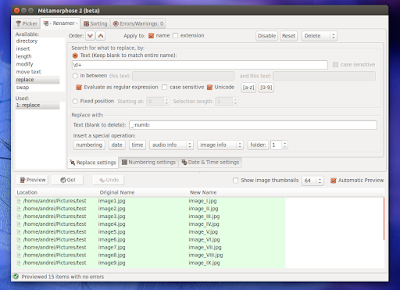 The application allows previewing the changes before applying them, can show image thumbnails, supports saving current settings for later use, allows undoing changes in case of mistakes and much more. Compared to the other two applications in this article, Metamorphose offers a much wider range of options and flexibility which can be great for some, but it can also be considered as a disadvantage by others, because it can seem overwhelming. 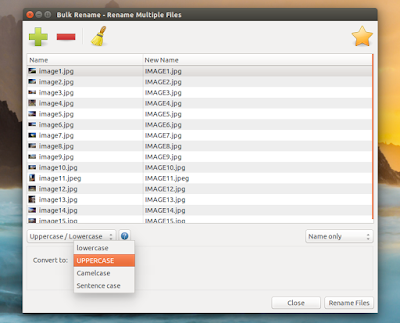 If you do decide to give it a try, you'll notice that's not actually the case however, in the end, it may be easier to use one of the other two mass file renamers in this article, especially for renaming operations that aren't very complicated. 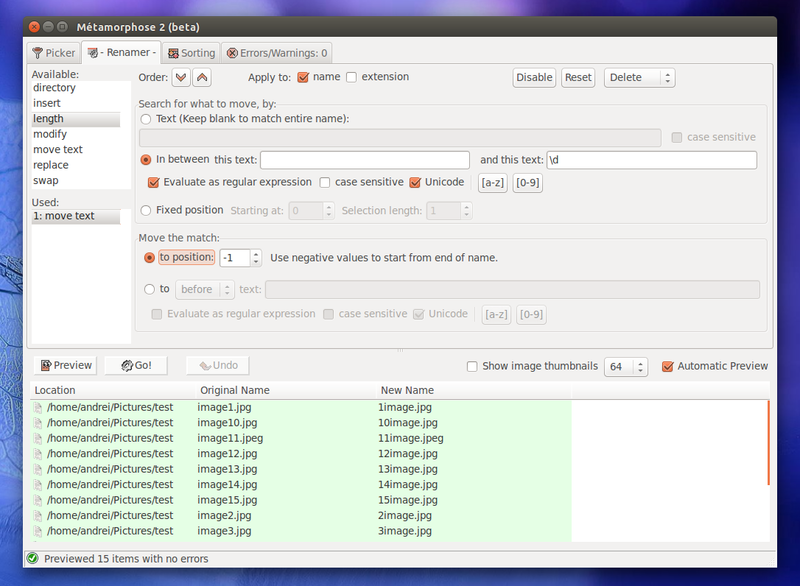 In the end, it's all up to you and to what you actually need to batch rename. 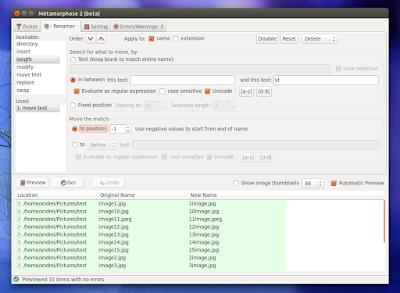 Metamorphose 2 binaries for Linux (deb and rpm) and Windows are available on SourceForge. Because these binaries are are pretty old (2011), you can grab the latest version source (which dates to August, 2015) from GitHub. 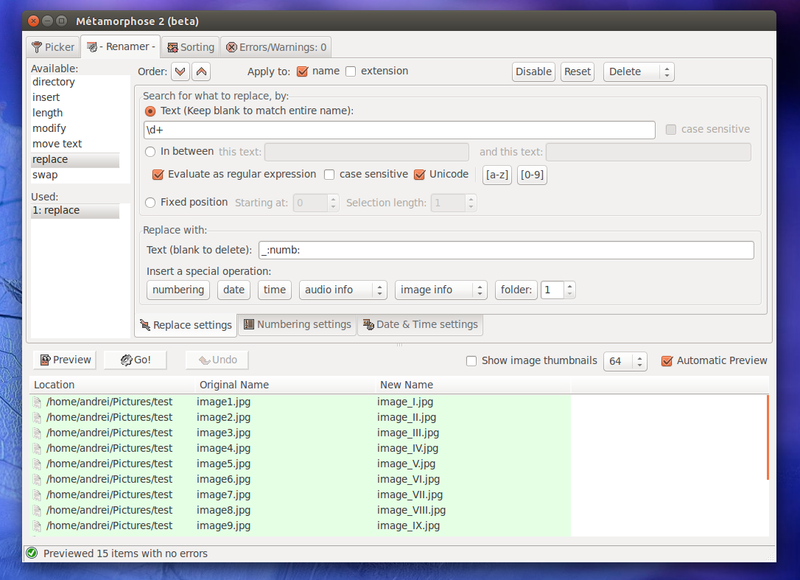 For Ubuntu 14.04 and older, you can install an older Metamorphose 2 version from HERE. Arch Linux users can install Metamorphose 2 via AUR (though it's version 0.8.3 and not the latest 0.8.4).